You may have provided your contact data via our “Contact our team” contact form. You may have provided your contact data via our “Corporate Compliance” contact form. We will use your data for the purpose of replying to your request. 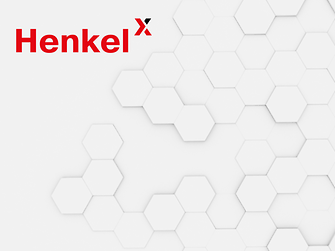 You may have provided your contact data via our Henkel Innovation Partnership Program contact forms for Patent Holders or Invention Partners. We will use your data for the purpose of replying to your submission after internal review and evaluation. You may have provided your contact data via our Start-up pitch event - application form. We will use your data for the purpose of replying to your application after internal review and evaluation. We will notify you of the results. In case you want to participate in our Annual General Meeting (AGM) you have to provide personal data such as name, address, category and number of shares. We will use your data to enable you as a shareholder to participate in – and exercise your rights at – the AGM. The processing and use of your data is based on statutory provisions which justify those operations on the grounds that the processing is necessary for the preparation of and your participation in the AGM. In addition, we may process your personal data to meet further legal obligations such as regulatory requirements and binding provisions under stock corporation, security trading, commercial and tax law. You may have provided your contact data via our Investor Relations publication order service form. We will use your data for the purpose of replying to / fulfilling your request. You may have provided your contact data via our Press video footage download service form. 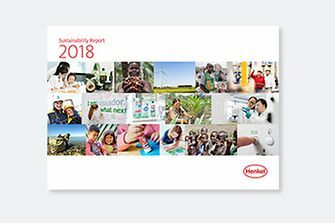 We will use your data for the purpose of providing a download link to video footage material and to follow the publication of Henkel video footage material. You may withdraw your consent with effect for the future at any time, for example by clicking the respective hyperlink provided either in the confirmation e-mail or via the Investor Relations Email Distribution List form. The withdrawal of consent will not affect the lawfulness of processing based on consent before its withdrawal. You may withdraw your consent with effect for the future at any time, for example by clicking the respective hyperlink provided either in the confirmation e-mail or via the Press Release E-Mail Distribution List form. The withdrawal of consent will not affect the lawfulness of processing based on consent before its withdrawal. sending me the information of release of corporate publications via e-mail (Corporate Publications - Distribution Service). You may withdraw your consent with effect for the future at any time, for example by clicking the respective hyperlink provided either in the confirmation e-mail or via the Corporate Publications - Distribution Service form. The withdrawal of consent will not affect the lawfulness of processing based on consent before its withdrawal.